Access to the Chimney has been restored after months of work to improve the Outcroppings Trail, leading from the upper parking lot to the stairs at the base of the Chimney. What we like about the “new and improved” Outcroppings Trail is that it now allows for two-way foot traffic so you no longer need to squeeeeze to get by someone on the way up as you head down or vice versa. This is a seriously fabulous improvement. Additionally, the Outcroppings Trail is pet-friendly, so four-legged friends (on leashes) can get by more easily as well. Our guests who have mobility challenges should definitely keep in mind that climbing the stairs on the Outcroppings Trail is currently the only way to get to the top of the Chimney, as the park continues its upgrade this year of the elevator. Modernizing the elevator is a major undertaking and the work is expected to span the remainder of the year. But trust us, it will be well worth the wait to see those magnificent views from the top! 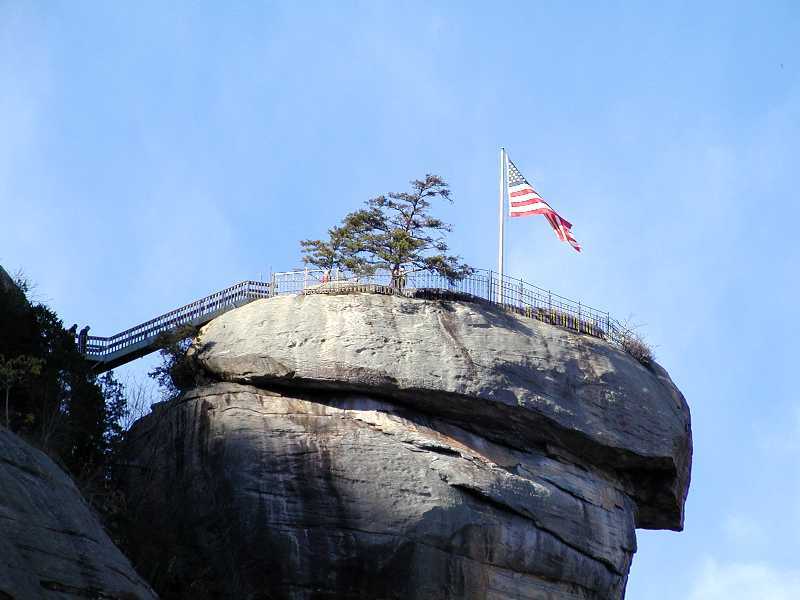 For more info on the park, the improvements to the elevator and Outcroppings Trail, as well as details about other trails and things to do around the park, check out Chimney Rock Park’s website. And visit their Facebook page for the latest photos of Hickory Nut Falls after our big rain this past weekend. It’s pretty amazing.